The Bluebird Bet blog tour is leaving the station! 10. If you read it today, you can impress the cool kids in your neighborhood. You’ll know who wins the bet, after all. 9. You need some sunshine. Instead of a solid, infuriating blanket of white, my current view, you could have green grass, warm sun, cool shade, and the joy of dipping your toes in Spring Lake. 8. Elaine Watson never loses, but it’s nice to see a guy give her a run for her money. Literally. There’s some running. This is my favorite form of exercise, reading about someone else doing it. And not for long. 7. Dean Collins has spent years dodging bullets, but his biggest struggle is in coming home. Now that he’s reached the Bluebird, he has no plans to leave. Ever. 6. Did you read A Minute on the Lips? (If not, go ahead. I’ll wait.) Of course you did! And did you love Andi and Mark? OF COURSE YOU DID! Sorry. No shouting. They’re in this one, too. 5. Do you wish you’d gotten to know a little bit more about Purl’s Place? *nodding* The Shady Ladies are there, knitting and crocheting away. Drop in for a lesson. Just be nice to Elaine. She’s struggling with her stitches. 4. This book contains one of my favorite lines that I’ve ever written. I won’t tell you what it is, but it still makes me chortle when I think about it. And I hardly ever chortle (a copy editor suggested I change laugh to chortle once. I’d rewrite the whole paragraph to avoid). I should hold a contest to see if anyone can guess it… Winner gets my undying love and admiration. 3. It would look so good on your Goodreads shelf. Here’s the link to add it (and your review). And if you really feel lucky, there’s a giveaway going until March 7. 2. Want to know what the cool kids are saying about it? Here’s an excerpt from the Fresh Fiction review. Click the link to read the whole thing, read another excerpt. This book in the Welcome to Tall Pines miniseries is an excellent read. Grab the Kleenex one minute and laugh the next. There’s a little of everything in this read; emotion, love, the sadness of life and a heartwarming town full of witty and wacky residents always ready to put in their two cents. I have not had the pleasure of reading any of the previous stories in this series but plan to do so soon as well as the new one just out. For a short tale I found THE BLUEBIRD BET as completely fulfilling and satisfying a read as any other story. There’s a lot of wit and humor and just plain good common sense and kindness. 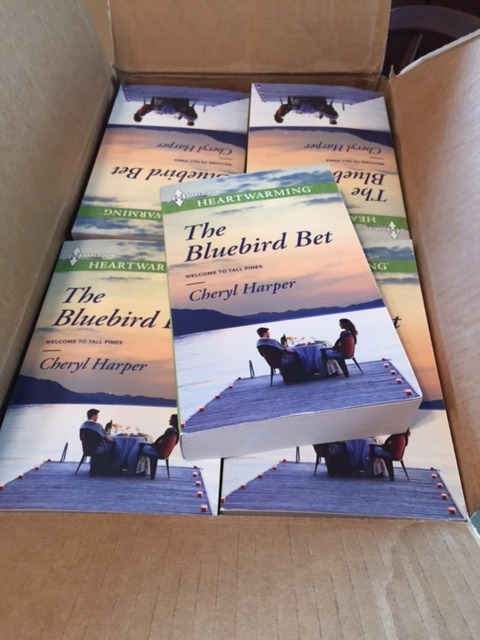 I definitely recommend THE BLUEBIRD BET for a satisfying and beautiful experience. 1. If you’re still not convinced, here’s an excerpt. And the buy links because I’m such a savvy business woman. Also, check back this week. A massive, mondo, mega blog tour is launching on… Wednesday. Did you think I was going to say Monday? Yeah, that would have been better. Lots of good giveaways, excerpts, and fun! To make sure you don’t miss a thing, you can like the Facebook Page (just make sure to choose Notifications updates to see every post) or follow me on Twitter. Elaine refused to take a step back even though she was closer to Dean Collins than she was strictly comfortable with. She could see he had hazel eyes, a mix of brown and green that was warm and possibly too intelligent for an easy win. Getting this close to him was a bad idea for a long list of reasons. Still, she was not going to back down. Not now. He’d made his opinion of her clear. He thought she was a fragile flower. He was wrong. When Robert coughed quietly, she and Dean both turned. “How will you decide a winner?” Elaine asked. Dean’s snort set her teeth on edge, and she did her best to forget her own snort of disbelief earlier. Maybe turnabout snorting was fair play. She and Dean watched Robert think. He paced. He cracked his knuckles. He opened his mouth and changed his mind twice. “And you don’t have to disappoint either one of us.” Elaine raised her eyebrows. Second in the Tall Pines series. A Minute on the Lips (Bk 1). Dr. Elaine Watson never loses. Period. So she won’t miss out on a chance to restore the Bluebird Bed-and-Breakfast. The owner’s son, Dean Collins, seems just as determined as she is. 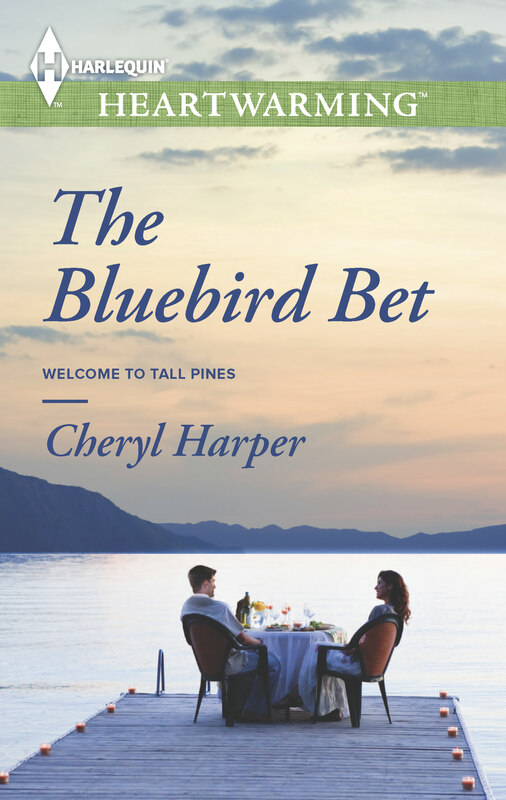 A famous photojournalist, he hasn’t been home in years, so why does he want to turn the Bluebird, a charming old B and B, into a fishing camp? With just a few weeks to create the winning plan, Elaine has no choice but to spend time with the guy. She’s drawn to the handsome, wounded man, but being with Dean would mean giving up the future she’s been dreaming of… And Dr. Elaine Watson never gives up.